Efficiently manage multiple site locations from a single log-in with SMART Enterprise (System Management and Reporting Tool). Status indicators show which locations have an alarm. Quickly identify and fix problems to minimize revenue loss. Unlike proprietary portals from inverter vendors you can add new sites using different equipment with the same interface. Any number of locations can be included and accessed from a PC or mobile device. 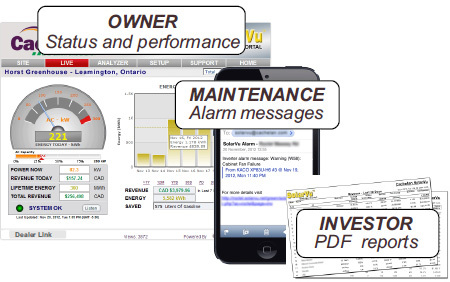 A SMART Enterprise account can be created at any time for managing existing SolarVu® sites. Multiple locations can be subdivided into groups or a big solar farm into zones. Jump directly to any site without having to remember the site login. 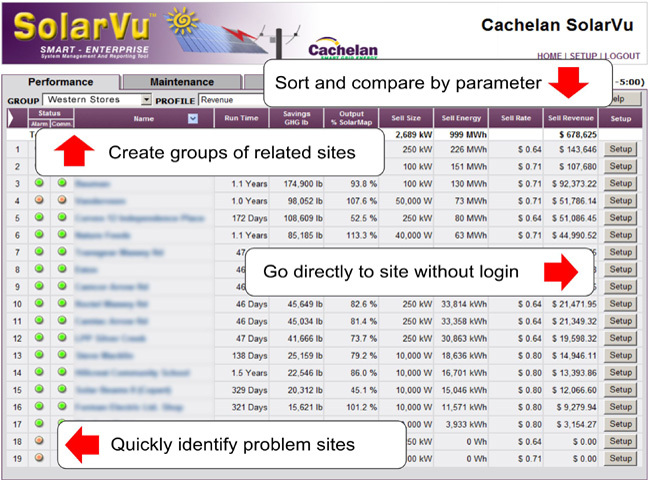 Change settings, compare site performance, troubleshoot problems and share information for managing existing sites and implementing design improvements on new ones. 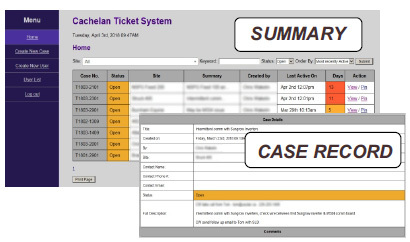 Use the Ticket System for scheduling O&M truck rolls with online lifetime maintenance records of all equipment. Separate visitor and administrator passwords allow different privileges for sharing by multiple users.